Gull Rock, an islet 15 feet (4.6 m) high, is situated about 1.2 miles east of Western Head on an extensive bank containing numerous dangers. Light. 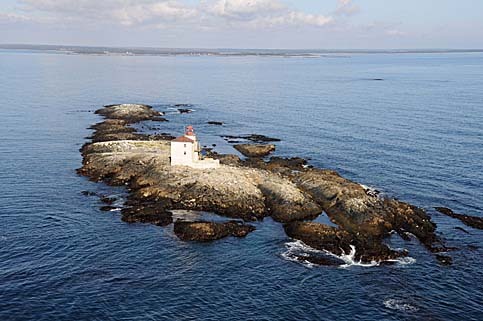 - A light is shown from a white rectangular building 44 feet (13 m) high, sur- mounted by a square tower on Gull Rock. A fog signal of one blast every 30 seconds is sounded from the light structure; the horn points 130ft. 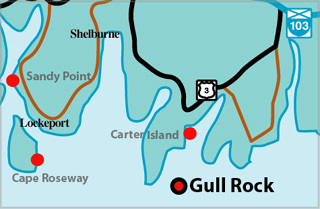 A submarine power cable is laid from Gull Rock to the mainland NW. 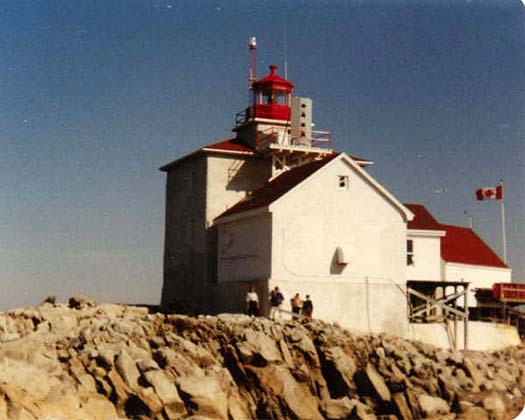 The portion of the lighthouse in front of which the family is standing was removed after automation. Photo - © Courtesy Leona Ringer, Gull Rock Lighthouse, 1984. This image was taken from a Coast Guard helicopter. This must have been a difficult station for a keeper with a family, despite the fact that it is not far from the mainland. 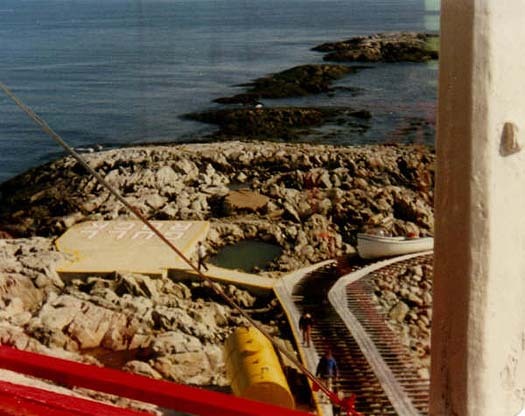 From left to right, you can see the helicopter pad, slip for pulling up the station boat, the oil tank and keepers carrying supplies.